Gov. Dannel P. Malloy in his office after the legislative session ended in June. The approval rating of Gov. Dannel P. Malloy, a Democrat in the midst of defending unpopular mid-year budget cuts in the first year of his second term, hit an all-time low of 32 percent in a Quinnipiac University poll released Wednesday. Malloy’s double-digit fall from a poll in March produced one of the lowest approval ratings ever recorded by Quinnipiac, which regularly polls in nine states. It approaches the record low of 24 percent registered by Gov. John G. Rowland in January 2004 as he faced impeachment. Polls taken in what is expected to be a politician’s final term typically are little more than conversation starters. But this comes as the governor is taking on a national leadership post and facing unrest over the state’s finances among legislators in his own party, as well as blistering criticism by Republicans. Nothing in this survey strengthens Malloy’s hand in dealing with lawmakers — or acting as spokesman for the Democratic Governors Association. Legislators, who face re-election next year, were rated lower than the governor: Only 27 percent said they approved of the way the General Assembly was handling its job, with 57 percent disapproving. Malloy shrugged off the survey at a celebratory event to acknowledge the award to Connecticut of six U.S. Department of Justice grants totaling $2.3 million to help inmates re-enter society and to reduce recidivism. “I’ve never run my life to be popular. 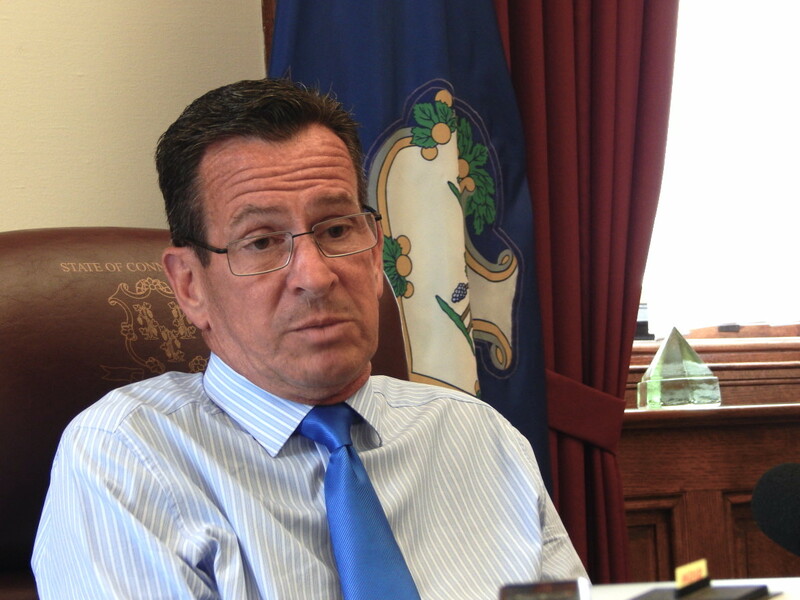 Let’s put it that way,” Malloy said. Seventy-two percent of all voters, and 58 percent of fellow Democrats, disapproved of Malloy’s handling of the budget. Half said they were “very concerned” at the prospect of General Electric moving its headquarters out of state in reaction to the state’s tax policies and unsettled fiscal climate. One-third of voters named the economy or jobs in an open-ended question about the most important problem facing Connecticut, and three-quarters said the state’s economy is “not so good” or “poor.” Only 10 percent said it is improving, despite a falling unemployment rate and a summer of steady job gains. The poll was an across-the-board repudiation of the governor. He’s never reached a 50-percent approval rating, but earlier polls consistently gave him good marks for honesty, leadership and compassion. In the latest survey, 49 percent of voters replied “no” when asked if they considered him “honest and trustworthy” or a strong leader. Fifty-five percent replied “no” when asked if he cared about the needs and problems of typical voters. Only 40 percent replied “yes” to the integrity question, 43 percent on strong leadership, and 37 percent on caring. I’ve never run my life to be popular. Let’s put it that way. Malloy, who says he’s had no time to digest the poll, said he had no explanation for voters now questioning his character. Overall, 58 percent of voters said they disapproved of how the governor is handling his job. In March, 43 percent approved and 47 percent disapproved. His rating on transportation, a second-term priority, offered cold comfort. It brought him his best marks: Voters were nearly evenly split, 43 percent disapproving and 41 percent approving. With crime in Connecticut at historic lows, 38 percent approved and 43 disapproved of his handling of the issue. The voters’ slap at the governor overshadowed a strong showing by U.S. Sen. Richard Blumenthal, a fellow Democrat, as he prepares to seek his second term next year. He has a 62 percent approval rating and leads by a 2-1 margin in matchups with two potential Republican challengers, former Olympian August Wolf and Lawrence Kudlow, a columnist and CNBC commentator. Wolf is a declared candidate. Kudlow is mulling a run. The poll is based on a telephone survey of 1,735 voters conducted from Oct. 7 to 11. It has a margin of error of plus or minus 2.4 percentage points. The full poll is available at quinnipiac.edu.